Simple, modern baby mobiles that are handmade with natural materials. They each come with a muslin keepsake bag, because yes, we’re sentimental enough to keep our kids’ baby mobiles stored away in a memory box. These gorgeous 100% Egyptian cotton blankets have a simple, modern design. And the fact that they’re midweight means you can use them year-round; and practical gifts are always favorites of ours for new parents. 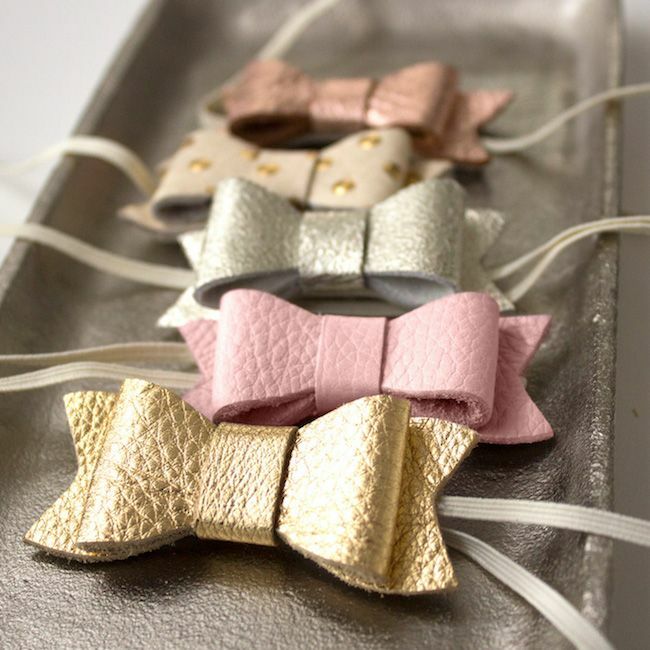 I’m dying over the incredible leather bows that is a collaboration between Freshly Picked’s gorgeous leathers and the Posh Society’s playful, girly sensibility. If you want a hair accessory with some edge, these are the ones for you. 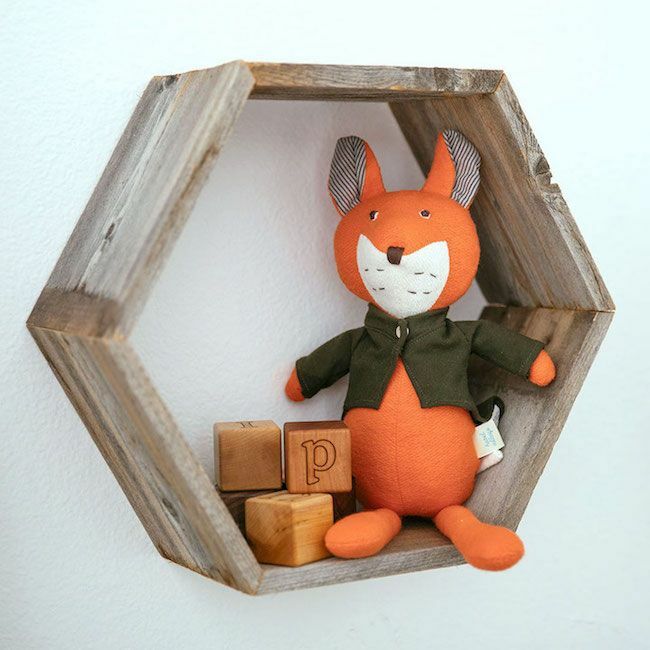 These artsy, cool woodland stuffed animals are made responsibly, and their goal is to create a keepsake item you can pass on for generations (at a price that won’t haunt you for decades). 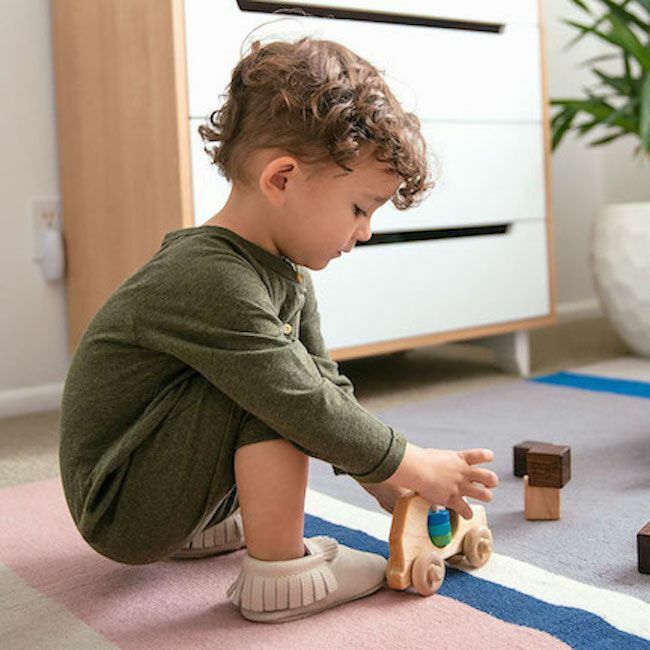 We’re already fans of Bannor Toys’ wooden rattles, and love that they’re made completely in the USA with organic wood, finish, and paint. Beautifully made and safe for our kids? Yes, please. Visit the Freshly Picked Marketplace to see all these small businesses and stock up on some holiday gifts early. We’ll be browsing there too.